Kawhi Leonard will miss Toronto's game against the visiting Washington Wizards on Wednesday due to left knee soreness. 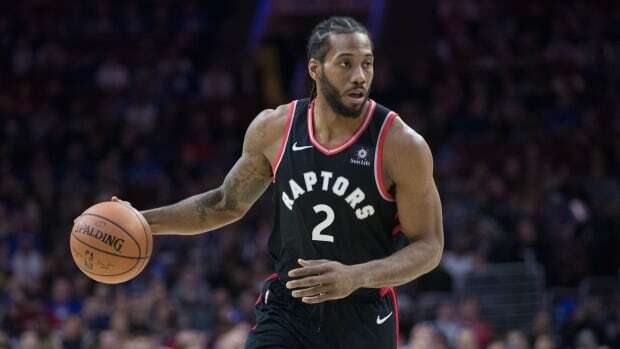 (Bill Streicher/Reuters)Raptors star Kawhi Leonard was ruled out of Toronto's game against the visiting Washington Wizards on Wednesday. The Raptors are waiting on veteran guard Jeremy Lin, who has indicated he is headed to Toronto after working out a buyout agreement with Atlanta. Leonard, voted an Eastern starter, and guard Kyle Lowry, a reserve pick, are both part of this weekend's all-star festivities in Charlotte.